Raqqa was the first governorate to be out of the regime control, also the first governorate to be under full control of ISIS and may become the first governorate to be governed by Americans! 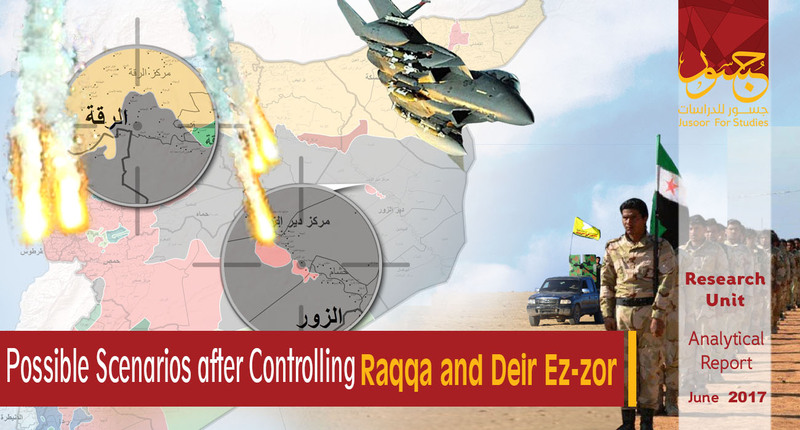 Regardless of the needed duration for the absolute control of the city, it's a matter of time, as ISIS is falling apart (rapidly), directing the eyes on Deir Ez-zor Governorate (the battle there will be more complicated and significant). PYD (Democratic Union Party) and its military wing SDF (Syrian Democratic Forces) insist that, locals of Raqqa to govern the city after ISIS defeat, however, this statement doesn't convey many political connotations, using the locals as a pretext to hide the party real intentions. 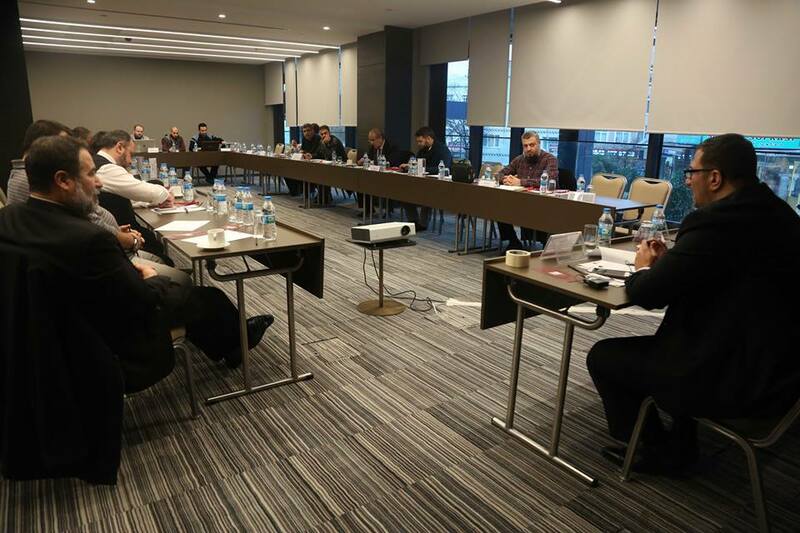 Indicators show that, PYD took many practical steps to guarantee its future control upon the city or guarantees its readiness for governance after gaining international and regional approval, at least. There is a strong link between Raqqa and Deir Ez-zor battles, as Raqqa Battle result will influence: time of battle - governance of the city - form of agreement in the other city. Despite the remarkable effectiveness of US in Raqqa and Deir Ez-zor, the political future for the two cities is still uncertain because of the vagueness in the US policy toward Syria and the region, moreover, the current decision concerning the eastern region is related to Secretary of Defense, showing that, it's an utter military decision with main concentration on defeating ISIS. This report tries to anticipate the potential and possible scenarios along with the international, regional and local actors' positions for both governorates after ISIS defeat. On 6/6/2017, SDF declared the start of Raqqa Battle after long time of preparation (during Euphrates Anger campaign). In spite of the rejections from Turkey and concerns from Arabic tribes, US settled its resolution in relying on Kurdish militias (only) in these battles. Many Arabic armed groups (about 10 %) are working under SDF umbrella. The Kurdish militias with the help of allies had made a considerable progress in Raqqa Battle, which may end first of August. This battle is considered as an automatic phase after Raqqa (expected to be launched this summer), especially when ISIS survived combatants move to the city. Early preparatory stages took place in conjunction with early stages of Raqqa Battle, as US-supported factions (related to Syrian opposition) attacked ISIS in Al-Bukamal, mid of 2016. The main escalation in the city took place after turning Syrian Badia into military zone (1st April 2017) with different battles between ISIS and Syrian Opposition, sometimes between Opposition and regime forces supported by Iranian militias, the last party was targeted five times by American strikes. The form of governance is not clear despite the near end of the battle. Handing over the city to SDF, as the forces will control it through a body formed by them. SDF organized a meeting for about 100 Arabic and Kurdish figures with forming Raqqa Civil Council (same situation happened in Manbij) as a result. On 5/4/2016, Manbij Civil Council was established and developed later to Manbij Legislative Council and Manbij Executive Council by SDF, thus, Raqqa Civil Council is the core of a legislative and executive councils. 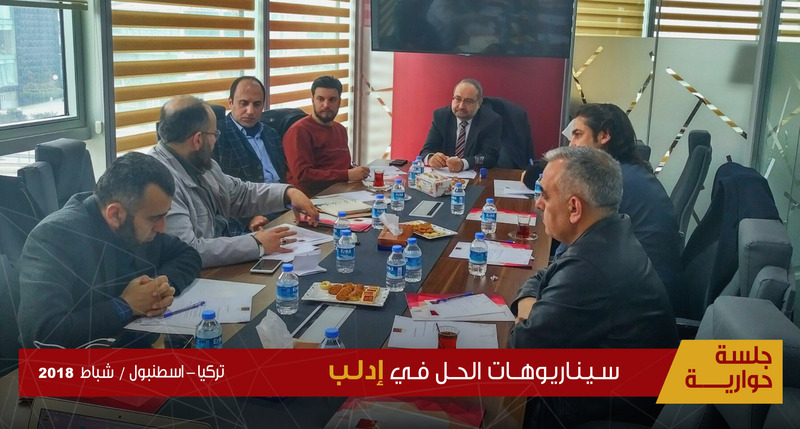 In order to copy the same experience in Kurdish zones, PYD assigned Layla Mustafa (previous Joint Head of the Self-Governance in Tell Abyad) as the Joint Head of Raqqa Civil Council. This council may be able to join Raqqa with the self-governance. Omar Alloush, a foreign relations official, declared: "Raqqa future will be determined by its locals", which implies to PYD(1) hidden intentions. On 29/6/2017, Brett H. McGurk, Special Presidential Envoy for the Global Coalition to Counter ISIL with Maj. Gen. Rupert Jones, Deputy Commander-Strategy and Support and representatives of US State Department for Humanitarian Affairs, conducted a public visit to Raqqa Civil Council, as a first practical recognition of this council. Despite the presence of Arabic front in such a scenario, it will be fragile and unable to curry Arabic tribes favor, moreover, the Arab-Kurdish state of division will be exacerbated along with turmoil within mixed areas in the eastern region. Turkey will strongly and continuously oppose this scenario, pressing on the governing body in Raqqa. In spite of what mentioned above, chances of this scenario are very high because US is keen to improve the conditions of Arabic participation in the governing process. This scenario is embodied by handing over the city to Arab-Kurdish body with real and effective presence of the Arabic side, to achieve this, a strong Arabic representative to be chosen and become a peer to the Kurdish side. Ahmad Al Jarba is considered a strong figure to be an Arabic party with political and regional support from Russia and America, also, understanding memorandum with SDF took place after a visit from Syrian's Tomorrow Movement and National Renewal Movement in Qamishli, on 11/6/2017. An Arabic entity can be represented by a body of many strong tribal figures, in addition to political character like Al Jarba, staff are needed in the power parity of Kurdish side. In case of utilizing a common body, Arab actors are able to change Ankara's position (after preventing it from participating in Raqqa Battle) due to their good relations with Turkey. In this scenario, Kurdish side won't be able to join Raqqa to the self-governance, however, strong participation in governing Raqqa will take place, on the other side, Arabic actors can impose integration options with other regions. No numerical or organizational strength are existed within the military Arabic groups (even Syrian Elite Forces) under SDF umbrella, thus, Kurdish military superiority will dominate the scene and influence the form and nature of the governance practiced by joint governance body. The presence of Arabic group with international and regional cover, may contribute in using the surplus force of Kurdish militias, as PYD doesn't want to gain the Arabic components' hostility in addition to ensuring the continuity of international and regional allies support, especially after ISIS defeat. This scenario is the most predicted and could be a development of the first scenario. This scenario will witness an accordance between US and SDF about exiting Raqqa after ISIS defeat. Handing over other regions to the self-governance will be the political price for this withdrawal. Lifting the American cover from Kurdish militias will pave the way for other hostile forces to assault SDF and obliging PYD to withdraw its forces from Raqqa, which leads to the same scenario. Turkey will consider this scenario as a perfect solution of fulfilling the American promise about discontinuation of SDF support after ISIS defeat. Iraq, Iran and Syrian regime will also approve this scenario, as first and second scenarios are considered as an expansion of the Kurdish forces and PYD influence. Removing SDF from Raqqa after all efforts and sacrifices, will be a very complicated process, the thig that, leads to offering a substantial political price as a compensation for Kurdish militias. Self-governance is more organized (with significant strides) politically, military and economically than any Arabic force in Raqqa Governorate. These scenarios are different from the ones in Raqqa for many reasons, the fluctuation between the actors' influence is one of them, as Jordan is the key player with less Turkish influence. Moreover, participation desire from Iran, Iraqi popular mobilization forces and Syrian regime, is obvious, to put a step in the future governance of Deir Ez-zor. The two governorates are included in the US influence, as the American vision of the region's future will impact greatly on the actors' numbers and origins in the battles against ISIS and the form of governance. 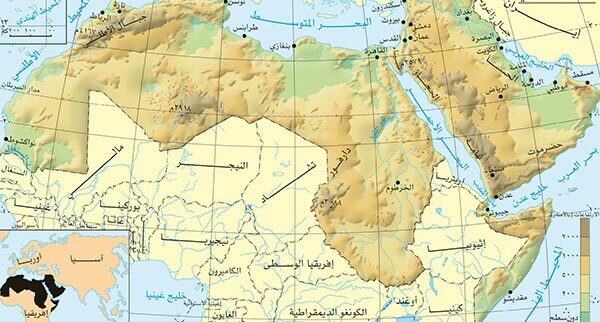 The two governorates have economic significance (oil and natural resources), demanding from international and regional actors to control them in no time. The percentage of Kurds in the governorate is very limited, making the chances of ruling it by Kurds utterly weak, even if it is seized totally by SFD. PYD can participate in Arabic-Kurd governing body and ensure expanding to the south east due to the effective military force of SDF along with US support. In return, a group representing all Arab parties (from eastern region with political and tribal representatives) will participate in the governing body with international and regional support. Kurdish side participation in governing Deir Ez-zor will face rejection from local and regional actors despite SDF military role, thus, PYD will be obliged to make substantial concessions in order to continue in the body. In this scenario, forming of governing council from Arabic figures with American administration for the governorate will take place, as a dejavu of Iraqi scenario in 2003. Kurdish side won't have a good quota concerning the governance with token representation for SDF in the future governing body. The governance council will help in representing all concerned international and regional parties, keeping their interests according to military and political power with an overweight to whom US and its partners may choose, in addition to Russian and Iranian mere presence. These aggregation projects (based on political allocations) faced a complete failure in Syria even though they barely managed to absorb the conflicts among actors. The future governance council will be eligible for dealing with substantial fiscal revenue from the sale of oil, contrary to consensual bodies of political opposition, therefore, reaching consensual mechanism in distributing resources, will be a tough task, returning the council back to square one. In this scenario, Deir Ez-zor will be divided among number of actors (west of Euphrates, regime forces represented by Russia and Iran – east of Euphrates, Opposition forces represented by US and Turkey), as a step of guaranteeing the fair distribution of resources. Integrating the Arabic side with Raqqa Governorate and dividing the expanded region between many Arabic sides with Turkish support, may take place in this scenario. Initial allocations between US and Iran with Russia, could be guaranteed by this dividing, postponing conflict between them over the medium term. Reaching an agreement about dividing up the influence between Washington, Russia and Iran in the eastern region with substantial concession from US toward Iran and Russia, is required in this scenario. Despite the series of meetings between the two sides, no apparent agreement about Deir Ez-zor was reached due to the linkage with other issues (most notably the southern region), which Iran and Russia should make concessions in order to put a step in Deir Ez-zor Battle. This scenario includes: handing over the governorate to SDF – forming a civil council by the forces – many Arabic figures to join this council – PYD is the real controller of the council. This entity will gain a direct American protection through permanent military bases, at which an American officer to be the higher de facto ruler for the governorate. What mentioned above, will prolong the American presence in the region, as SDF needs this presence to guarantee its dominance in the governorate and Arabic groups will be protected from Kurdish militias tyranny as well. The scenario is expected to be categorically rejected by Turkey, Saudi Arabia and Jordan, but US won't respond to their demands in modifying the form of governance, so no one can change the rules of the game in the eastern region. No real chances are expected, as US won't rely on it unless a clear desire of repeating the Iraqi scenario, is included. Handing over the governorate (with its resources) to PYD, will lead to a situation of anger and discontent among Arabic tribes in the governorate, promoting the idea of American-Kurd occupation of Deir Ez-zor by medias of adjacent countries along with Syrian regime, may take place (just like the situation in Iraq 2003). Many resistance groups will be formed by the governorate tribes to target American and Kurdish forces, allowing ISIS, other extreme groups or even sleeping cells to reemerge in the governorate with the possibility of facilitating this appearance in new regions.